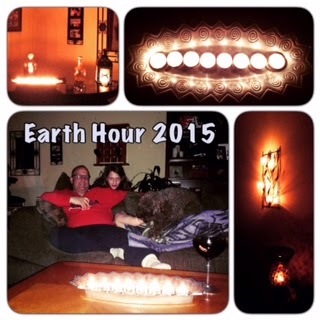 We're now in the after hours of Earth Hour 2015. At my house, we turned out the lights and played a riveting game of family "Apples to Apples" by candlelight. 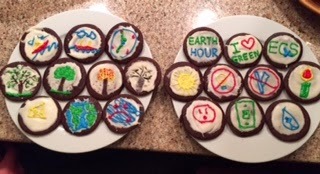 A former teaching colleague of mine in Annapolis had an adult gathering with friends at her house, and embarked on a cookie baking & decorating spree amidst dim lighting to celebrate Earth Hour. As you can tell, there's a definite pro-go-eco theme as they were armed with icing, creating concoctions that look too good to eat! 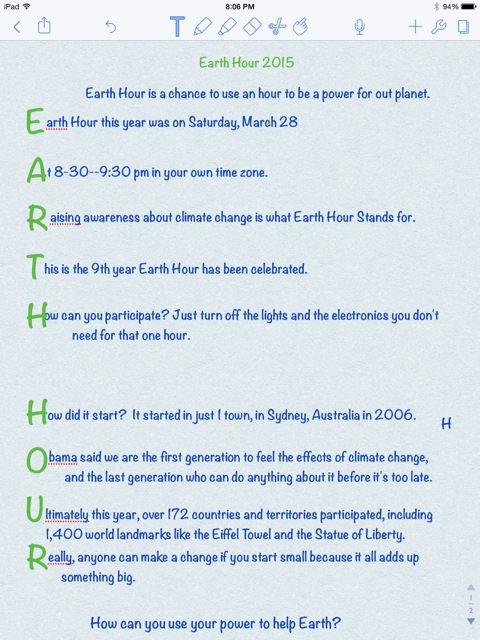 A third grade buddy of mine was inspired to write an acrostic to share the news and word of what Earth Hour is all about. Global landmarks went dark. Countries broke records. And already, the 10th annual event for 2016 is set. March 19th, 2016, from 8:30--9:30 will be the day, or shall we say 'the night.' The night to do it up right, and use your hour for power. To learn more, about this year and next year's Earth Hour, go straight to the source! And don't worry. If you missed Earth Hour this year, while you are waiting for next year's, you can practice by doing your own personal celebration, honoring the Earth, one light off at a time! 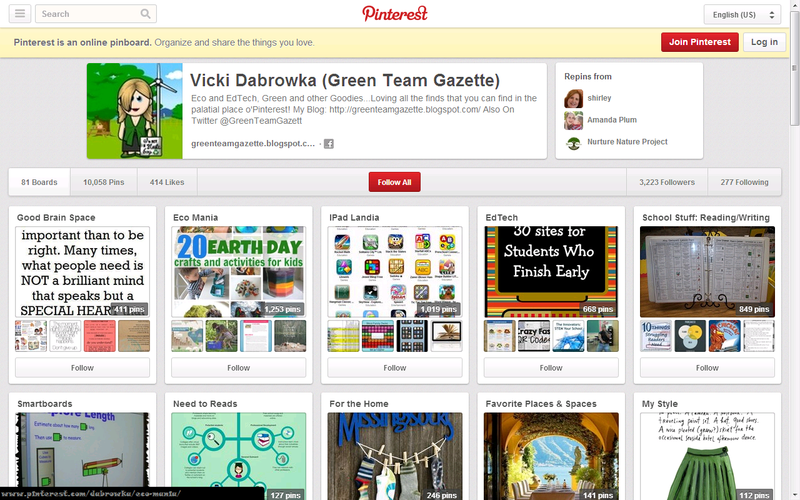 All photos taken from my friends' & family's Earth Day-inspired handiwork!